A country of picture perfect landscapes, beautiful beaches and incredible diversity, New Zealand allures you with immense love and warmth. Divided into two main islands, this colorful country brings together the modernity of the cosmopolitan cities and old-age traditions of Maori culture. While its culture will always remain the star attraction, there is a long list of tourist attractions and activities that one can certainly not miss. New Zealand is a destination for every traveler. You could be an adventure enthusiast or nature lover, foodie or shutterbug, the country has something for all. From beaches to national parks, lakes to museums, the country has a tourist attraction to match the travel requirements of every traveler. 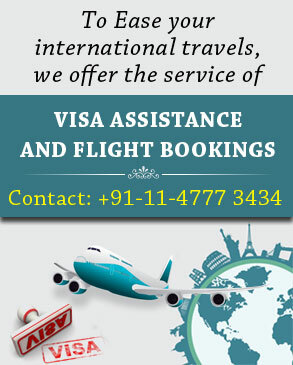 For the best traveling experience, you can opt for New Zealand tours Packages from India offered by Indian Holiday. With a trip to New Zealand, you get to explore those beautiful beaches, glaciers and lakes. Popular for offering a wide variety of adventure sports, New Zealand makes you awaken the adventurer in you. Here are some New Zealand Tours that have been specially designed to offer you the best travel experience.